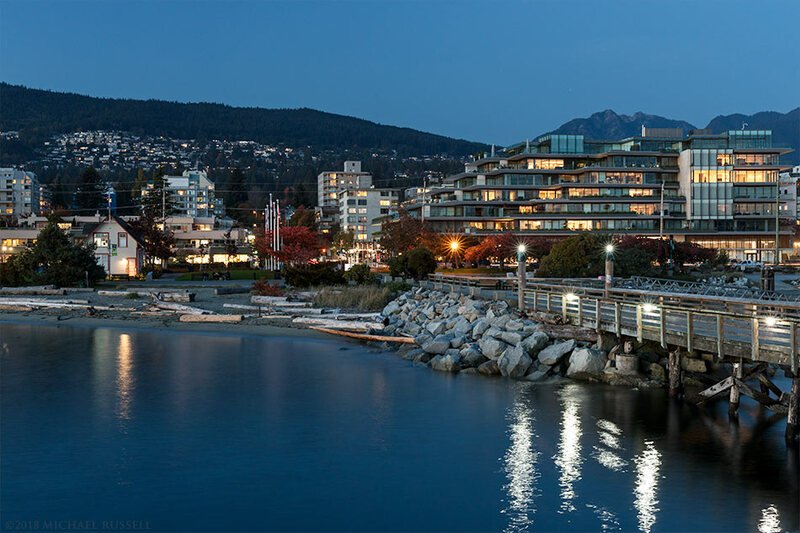 West Vancouver and the Ambleside Pier in West Vancouver, British Columbia, Canada. A few weeks ago I headed into Vancouver to see what fall foliage I could find. This was not a stellar year for foliage around Vancouver or in the Fraser Valley, at least not in the areas where I ventured. I found some good colour in Queen Elizabeth Park, but I have photographed there a lot before. I decided to go to areas that I hadn’t really visited often after that. After going through downtown I went to Ambleside Park in West Vancouver. 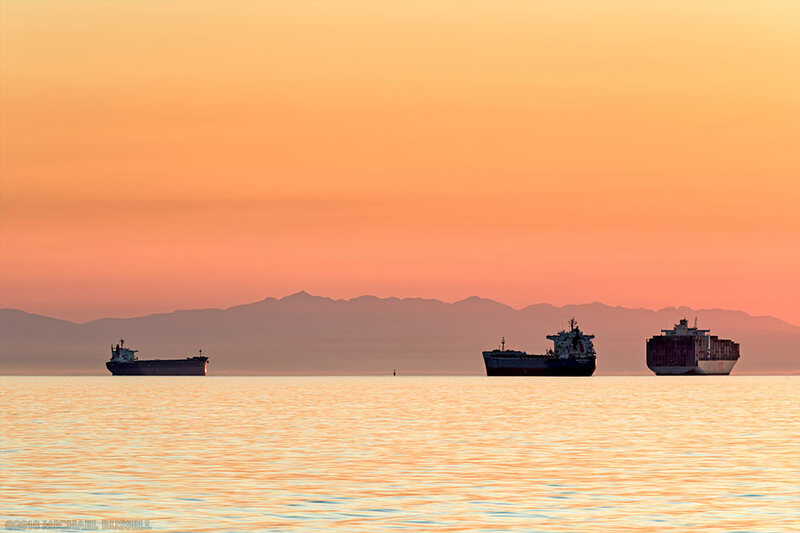 I had only photographed this location once, and there were promises of a decent sunset and a few subjects I wanted to photograph again with my newer, higher resolution, camera. I had seen photographs of the pier before, but didn’t realize how close it was to Ambleside Park – probably less than a 10 minute walk from where I’d parked. On the way to the pier I photographed a few things along the beach, ships in English Bay, and the Lions Gate Bridge. When arriving at the Ambleside Fishing Pier, much of the sunset was gone but it was perfect timing for a blue hour photograph of the pier and parts of West Vancouver to the north. I had to compose around a construction crane but otherwise things went as planned. Ambleside Pier itself is a nice spot to view the surrounding area, and is set up with a table and hose to cut bait for fishing or crab traps, and to clean one’s catch. 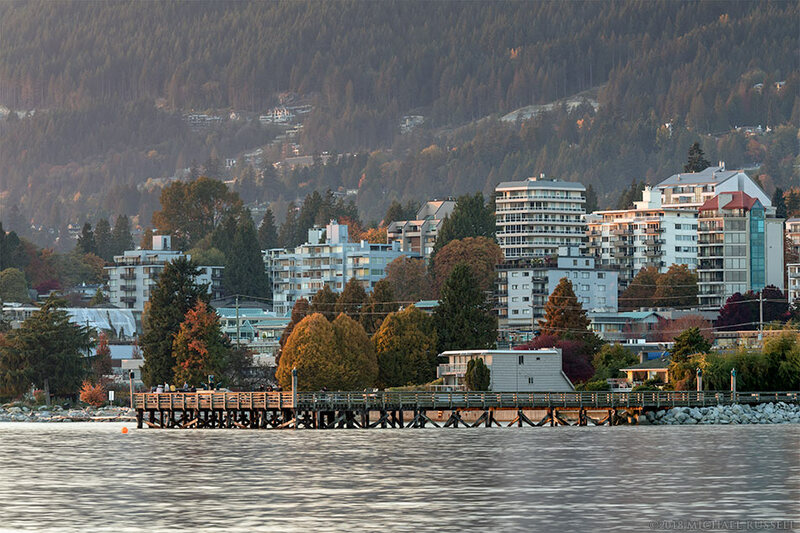 This second photograph of Ambleside Pier is from Ambleside Beach looking west. When I visited the pier there were several groups there fishing and crabbing. One of the crabbers was waiting to pull up their trap as there was a seal hanging out in the area and apparently it is adept at raiding the traps as they come to the surface! For more photographs of this area visit my Gallery.